A month which started off with high temperatures in the 30s then rebounding back into the 60s will now feel temperatures much colder than normal starting on Thursday. According to the National Weather Service temperatures will run about 20 to 25 degrees cooler than normal for the region and will last until at least early next week. 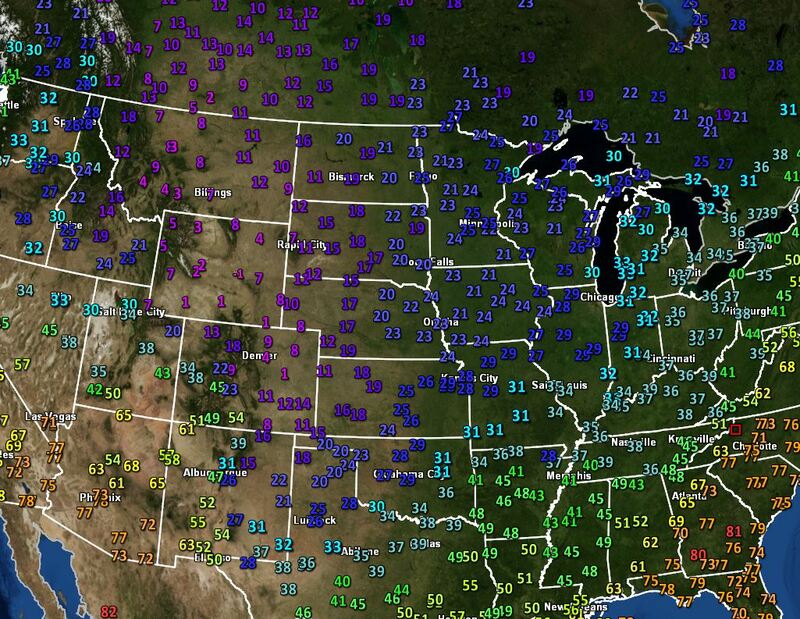 Cold air from the arctic is not only bringing these much colder readings to the High Country and eastern US, those living in the northwest, midwest and plains have been feeling the effects over the last several days too. Even with the much colder conditions it's not anticipated to break or match any current weather records for Watauga County. There are two pieces of good news for the High Country in that snow and high winds are not expected to be factors, at least through most of Sunday. The National Weather Service is saying snow showers are possible Sunday night, but accumulations should be limited to the higher elevations closer to the North Carolina/Tennessee state line. For more on what to expect temperature wise check out the weather forecast. Those colder temps are getting closer. 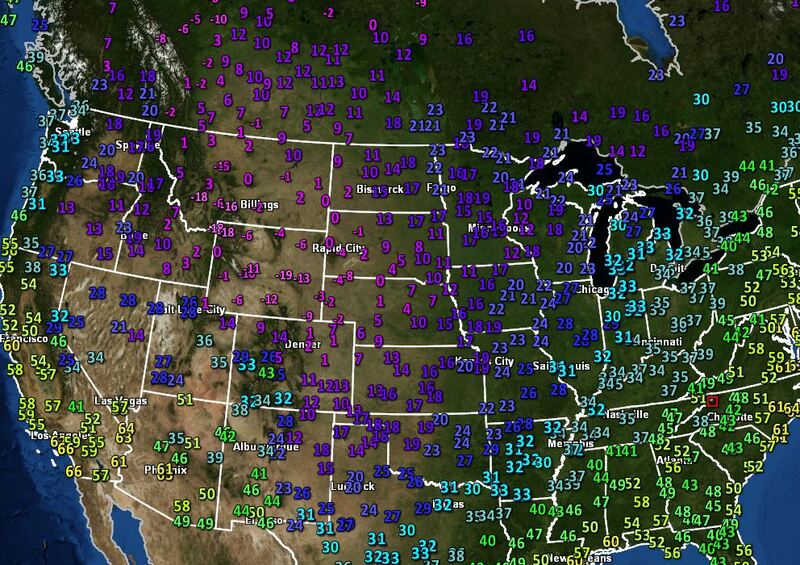 At 3:50pm eastern time Boone at 54 compared to the 30s to our northwest and even colder farther west.